Ever wonder if there are any Keto alcoholic drinks that won’t hinder your progress? Maybe you miss having a glass of wine with your dinner, or you’re celebrating your best friend’s wedding. Luckily, you can enjoy a low carb drink or two and still be successful with the ketogenic diet! Over the years, I’ve read countless diet books that prohibited consuming alcohol. Actually, it’s probably the first thing that many “gurus” say to cut out of your diet. Alcohol gets a bad reputation because it is essentially a concentrated source of empty of calories. Indulge too much and there’s also the chance that you will eat the entire refrigerator, too. But let’s get serious. I’m almost thirty years old, and I still enjoy a night out with a tasty, alcoholic beverage (or 3). Having the option to indulge in a drink is one of the reasons I’m still on the Keto diet! 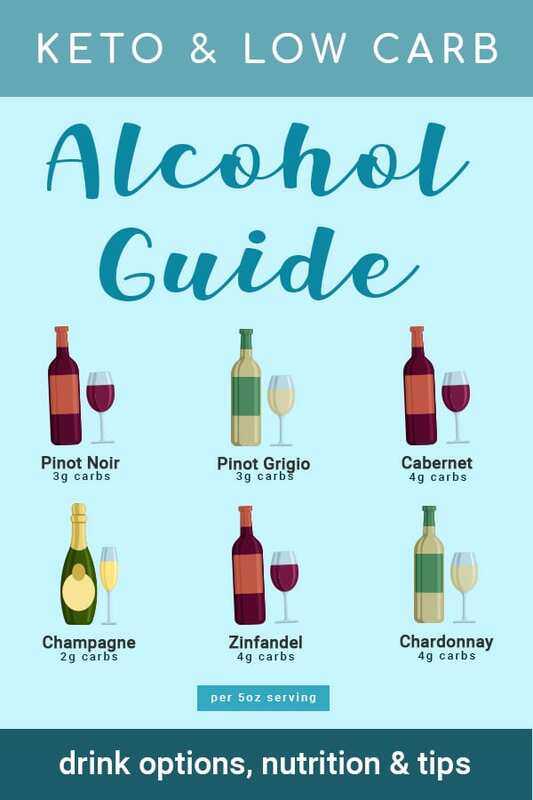 You can’t fail if you choose from the low carb alcoholic beverages mentioned in this guide. Enjoy! On average, one shot is the equivalent to about 1.5 oz. The following spirits have 0 grams of carbs and roughly 60-100 calories. Of course, this will vary depending on how much is actually in your beverage. If you order a double, account for the change in nutrition values. Please note that these are for the original, unflavored versions. For flavored spirits, always check up on nutritional information before consuming as they often contain carbohydrates. Beer isn’t completely off the table when following the Keto diet, but your choices are limited. Craft beer and IPAs are usually too high in carbohydrates to enjoy regularly. I tend to avoid beer unless I’m really in the mood for it. I was extremely excited to find out that wine can easily fit into the Keto lifestyle! I always assumed that they are high in carbs because they’re made from grapes. Fortunately, the fermentation process greatly reduces the carb content. You can even use the excuse that you’re drinking wine for the health benefits. Red wine, in particular, is loaded with antioxidants. For Keto, we’re going to want to choose dry wines and avoid sweet/dessert types. The following low carb options are based on 5 oz servings. There have been some great new products come out recently that are suitable for Keto or any low carb diet! As always, check the nutrition information and net carbs. You can never be too safe! DO NOT drink and drive under the influence of alcohol. Always eat before drinking. Believe me. Be wary of your food choices and carb counts while under the influence. You can still order the greasy burger from your favorite fast food place, but skip the bun and fries. Staying in? Keep one of my keto recipes prepared or your favorite low carb foods on hand when the munchies strike! Match each drink with a glass of water — you’ll thank yourself in the morning. Avoid fruit juice and sweetened alcohol (peach schnapps, blue curacao, etc.) as they are concentrated sources of sugar. They’ll also raise your blood sugars. Be aware that when drinking, your body prioritizes the alcohol content and starts to burn it immediately. For some people, this may cause a stall. In others, it could jump start your weight loss. Test it for yourself and see how your body handles it! Make sure your electrolytes are in check. Failure to do so could result in a nasty hangover or the dreaded Keto flu symptoms. Some notice more stored water weight after a night of drinking while others are more dehydrated. 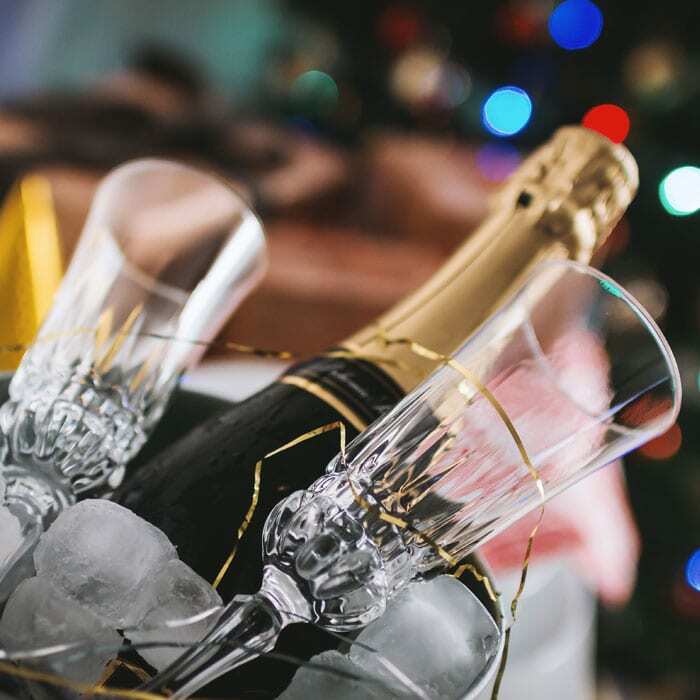 #1 Rule – After a few weeks of a the Keto diet, your tolerance to alcohol will be dramatically lower. Take caution! One or two drinks may be more than enough. How many carbs are in vodka? Haha, I always get asked this question, specifically. Vodka seems to be the liquor of choice for most people (including myself). Based on the guide, one shot (1.5 oz) of plain vodka comes out to 0g carbs and about 64 calories. Totally acceptable to fit into your Keto diet. Careful with the sweetened versions as they may contain a surprising amount of carbs. I tend to just go the carb free route — you can’t go wrong with Tito’s! 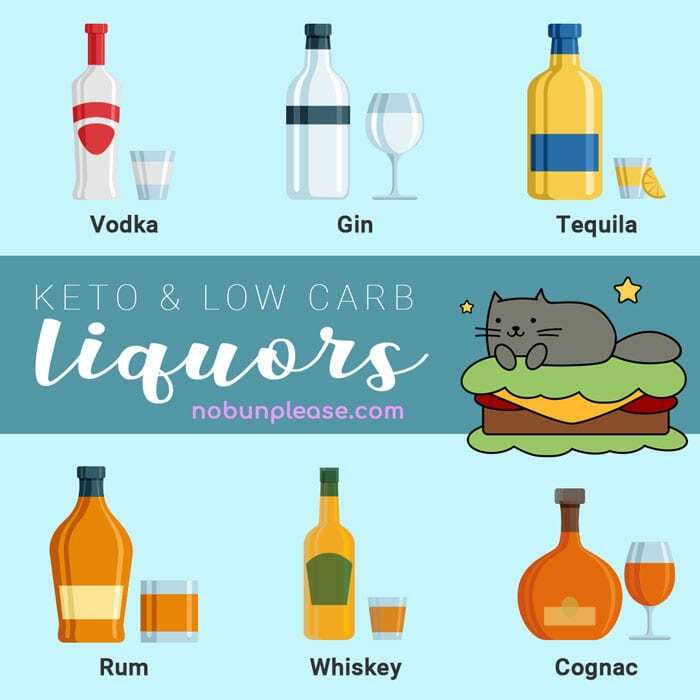 What are your favorite low carb alcoholic drinks on a keto diet? Honestly, I tend to keep it simple and go for the vodka + soda + lime route. It’s surprisingly refreshing and it’s super easy. If I’m in the mood, my Spiked Root Beer Floats make a delicious beverage, as well! Will I stay in ketosis if I drink alcohol? You will still remain in a metabolic state of ketosis, unless you consume too many carbohydrates. As mentioned previously, the body prioritizes alcohol and breaks it down immediately. Therefore, you are not necessarily burning fat while you are burning off the alcohol. Favorite foods after a night of drinking? If it’s an option, a cheese steak with no bun is my all-time favorite. I’ve also been known to go to town on a Bunless Baconator from Wendy’s. I also like whipping up a batch of buffalo chicken dip and scooping with pork rinds! Keto friendly and super yummy. Will I get a hangover on Keto? Most likely. Personally, I feel worse after a Keto hangover, but it’s usually short lived. Make sure you’re getting enough electrolytes, water and rest so that you don’t feel too horrible. What are your favorite low carb alcoholic drinks? Comment below! I’ve always been a sweeter drink kind of person. So now I order Absolut Citron on the rocks with a couple of lemon wedges I squeeze into it. Then several drops of stevia glycerite to taste. Delicious and 0 carbs. I appreciate all of your lists for ordering at restaurants. That’s a great idea, I need to try that! Corona Premier is out now!! 2.6g carbs!! I was into Corona Extra for years, and had to cut it out when I started Keto…I’m so happy they now have a low carb beer!! Enjoy your articles. Thank you! Hangovers can be greatly reduced by having bacon the next morning and/or sipping pickle juice (restores electrolytes!) Make it dill pickle juice if you’re seriously keto. Thank you! I’m just starting on the Keto lifestyle and tomorrow is my birthday. I want to celebrate with a couple drinks with family but was at a loss for choices. After looking at a few articles, I ran across yours. It is concise, easy to understand, and enlightening. I’m a little (ahem) past my thirties, but I don’t want to give up an occasional drink. Vodka and Riesling are on the list!! two of my favorites! Thank you for the information. Have a great day!